Each Left Coast Crime Convention raises money to support a local literacy organization with funds raised through a silent and live auction and the annual Quilt Raffle. 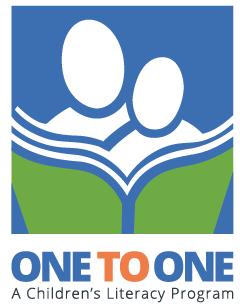 LCC 2019’s auction recipient is ONE TO ONE, a unique children’s literacy program that provides one-to-one tutoring to children in elementary schools during regular school hours. Trained volunteer tutors work with students who are identified by their teachers as needing a boost in their literacy skills. Typically, each student spends approximately 30 minutes two to four times a week with a volunteer tutor. ONE TO ONE provides these children with an opportunity to practice their reading in an environment where it is okay to take risks, make mistakes, and learn at their own pace. All proceeds from Left Coast Crime 2019’s auction go to ONE TO ONE. Anyone — reader, writer, bookseller, librarian, blogger — may donate an item or two to the silent auction. A few of you are probably working on your auction donations right now — it’s a good excuse not to do actual work! You can either mail your Silent Auction donations to yourself at the hotel or bring them with you. We’ll be setting up the Silent Auction Room on Wednesday and Thursday, but we will accept donations on Friday as well. Questions about donating to the Whale of a Crime Silent Auction? Email Auction Chair Pam Fairweather Thomson.